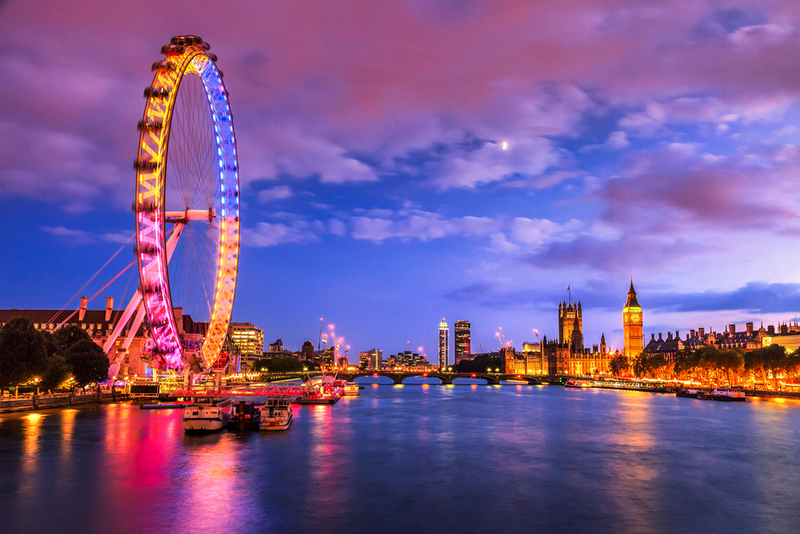 Now’s the time to book your dream trip to the UK. While England’s rich history, breathtaking countryside, and eclectic locals charm every traveler, its dramatically low prices means the U.S. dollar goes further across the “Pond,” so that immersive trip you’ve always wanted is now a reality. Check out these awe-inspiring sights and attractions you need to see on your next Great Britain getaway. 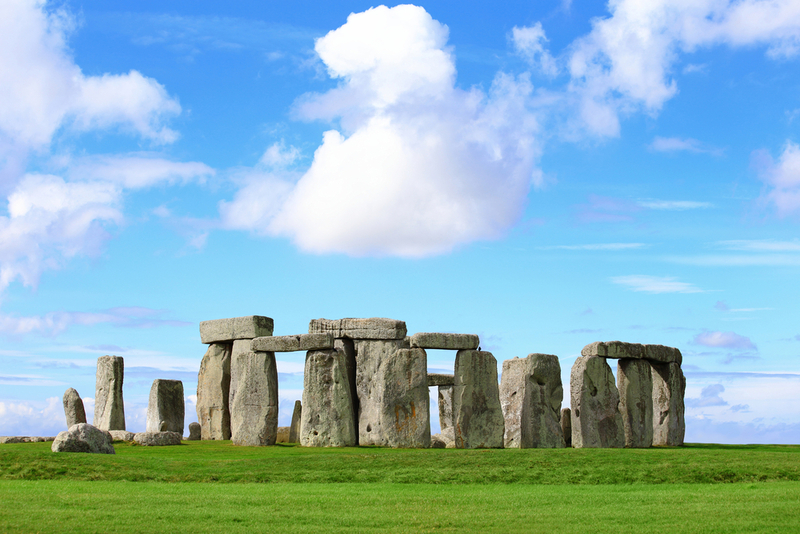 Form your own theory during a trip to the mysterious Stonehenge. Don’t lose your head over shocking tales on a tour of the Tower of London. And stopping in a local pub for a pint and the best fish and chips you’ve ever had is definitely a must-do! Here are the must-see stops you need to make on your next European adventure! The question isn’t really what there is to see in London, but rather what isn’t there to see in England’s capital city? Be sure to see the royal jewels and the Beefeaters at the Tower of London and wave to the Queen at Buckingham Palace. There are incredible museums in the Tate Modern and the National Gallery. The Royal Opera House is a must and Oxford Street is a shopping mecca. There’s Abby Road for Beatles’ fans and the Sherlock Holmes Museum for anyone who loves a good mystery. 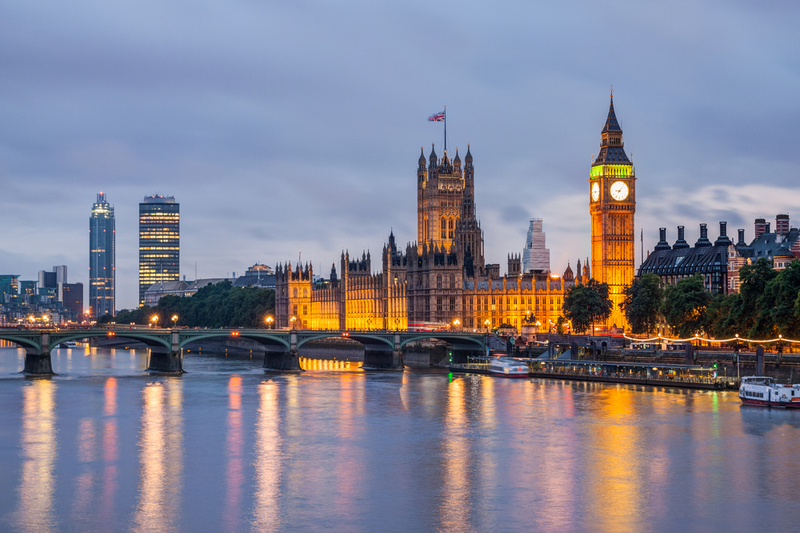 St. Paul’s Cathedral, Westminster Abbey (where William and Kate married in 2011), Big Ben and the Houses of Parliament, and a bird’s eye view from London Eye are all great choices on a first-time journey to this great town along the Thames River. A visit to Scotland’s Stirling Castle feels like you are walking right into an episode of Outlander. Its impressive fortress and towering castle were once home to the Stuart kings in the 14th century. There are also unbelievable views of the surrounding countryside in every direction you look. 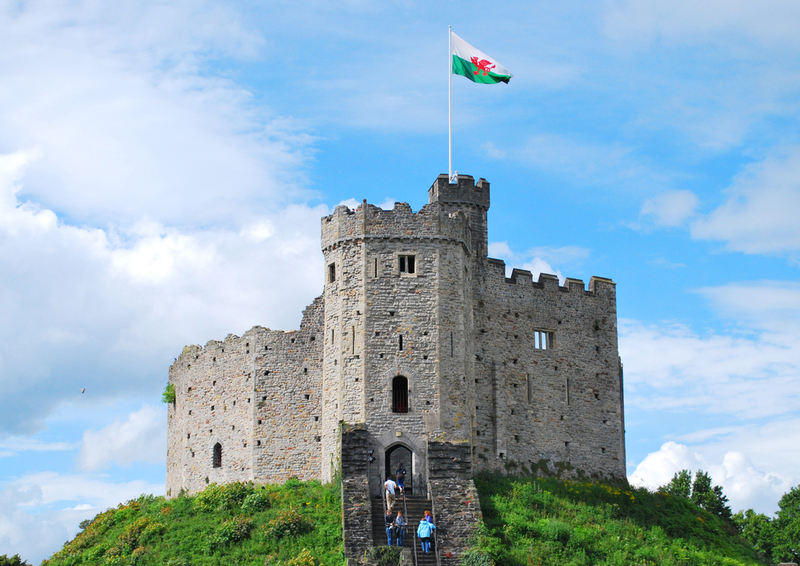 The impressive medieval castle set right in the city center of Cardiff, Wales was built by William the Conquer and seems to have walked right out of a fairytale. Inside you will see some of the most opulently decorated rooms and beautiful gardens imaginable. There is also the remains of an ancient Roman fortress and shelters that were used to protect citizens during World War II. 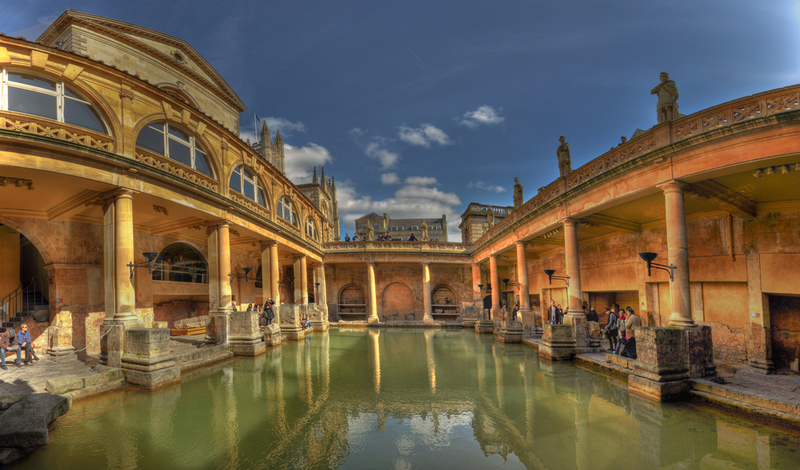 This well-preserved historic site is found in the aptly named English city of Bath and were built by the Romans in 60-70 AD for bathing for over 300 years. The pools, mosaics, and thermal waters have been carefully maintained and is a wonderful way to make history come to life. In the Southwest corner of England, there are lovely little fishing villages with narrow winding streets and white washed cottages that look like they have walked out of a bygone era. One of the most popular and picturesque towns is Polperro. You’ll never want to leave. 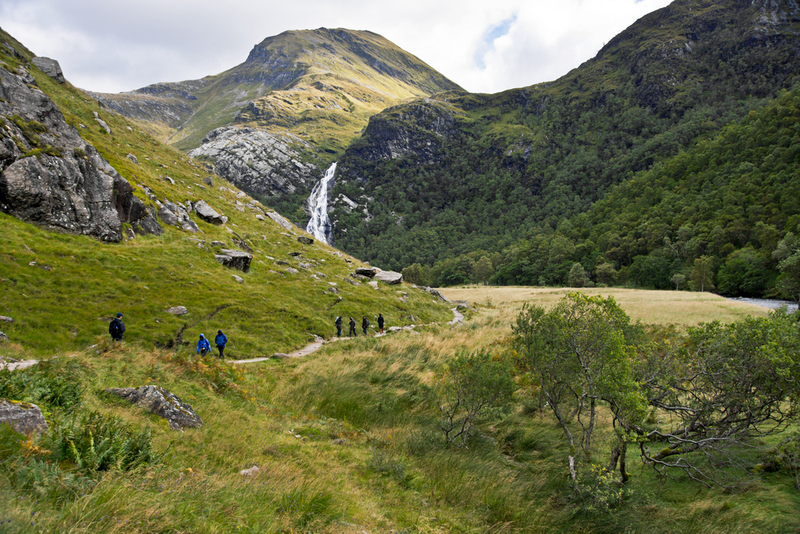 If you are a fan of Braveheart or Harry Potter, you already have a good idea what Scotland’s Glen Nevis looks like. A popular spot for filmmakers, it is also the site of Ben Nevis, Britain’s highest mountain. To say this area in the Scottish Highlands is breathtaking, is completely underselling it. Go for a hike and enjoy the abundance of wildlife and wildflowers that surround you at every turn. Don’t be at all surprised if you spot someone relaxing on the lawn while sipping Pimms in a straw hat. The famed university town is largely accessible by bike, and the river is a focal point for tourists and locals to gather alike. Now on the list of UNESCO’s World Heritage sites, archeologists believe the area may have once been an ancient burial ground built about 2000 BC. A less scientific theory goes that the Devil bought the stones from a woman in Ireland, wrapped them up (some weighing 25 tons), and brought them to Salisbury Plain where they now sit. Another legend says they were erected to worship pagan gods and goddesses. Whatever you believe, Stonehenge is massive and mysterious and well worth the visit. This quintessentially picturesque English village in Kent is straight out of an E.M. Forrester novel and also the home of Scotney Castle. A romantic 18th century chateau that is actually surrounded by a moat! Don’t miss a chance to walk through Sprivers Horsmonden, an incredible garden that leads out into a lovely walkway through the woods. Not far away are Canterbury Cathedral and the legendary white cliffs of Dover. The 11th-century castle was built by the Normans but has been the home of British monarchs ever since Henry the First. Seeing the majestic residence as it first comes into view is nothing short of incredible. If you are really lucky, you might even get a glimpse of the reigning royal family. The limestone cliffs and sandy beaches along England’s southern Jurassic coast from Exmouth to East Dorset is home to one of the most beautiful and photographed spots in the entire UK. Near the cove, where you can take an uncrowded stroll or swim, is the Durdle Door, a natural limestone arch. Standing under it is guaranteed to be your next Facebook profile shot. Book lovers prepare to go berserk. 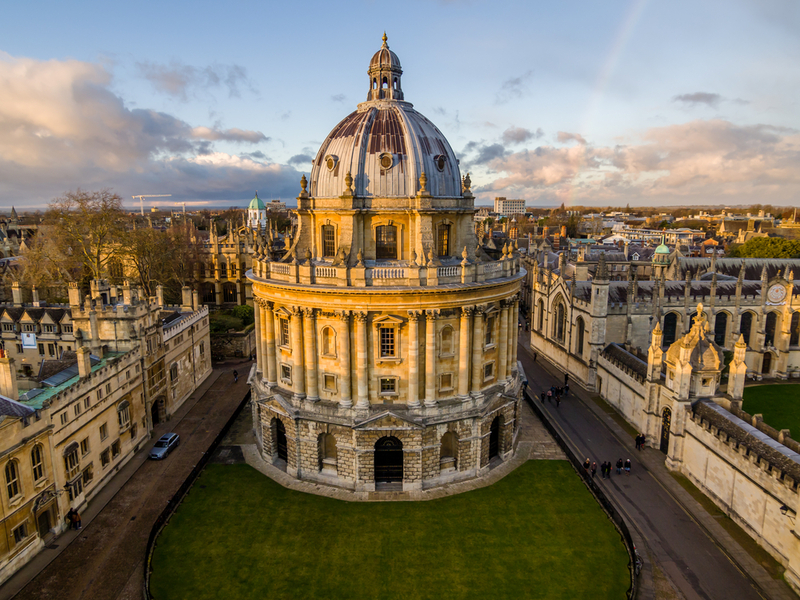 The famed university has one of the oldest and most impressive libraries in the world. It dates back to the 17th century, and you can always find a place to relax with your favorite book. There are over 2,500 seats alone, and the library contains over 12 million items. Downton Abbey may be over, but the era lives on at recognizable home of the fictional Crawley family. The castle and its gorgeous grounds are just some of what there is to discover in Bampton Village and nearby Oxford. 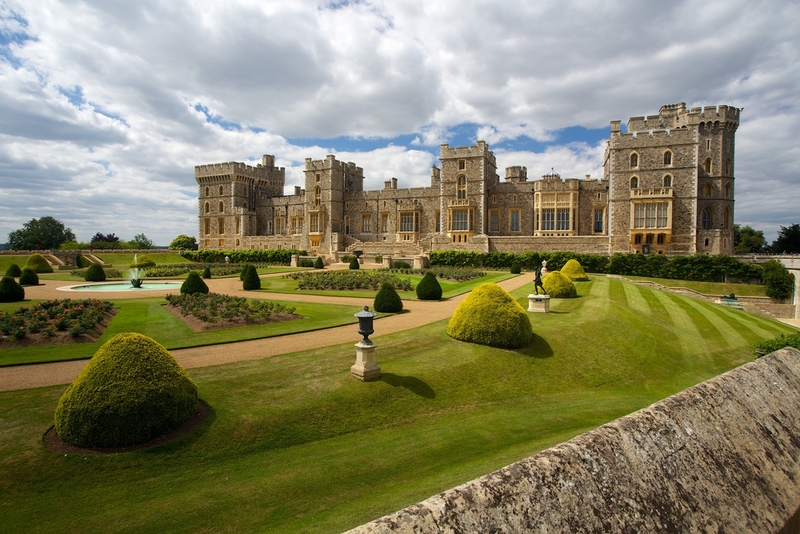 Take advantage of this exciting and economically-friendly time, and discover Great Britain in all its royal splendor. Contact your travel agent who will get started on your adventure today!